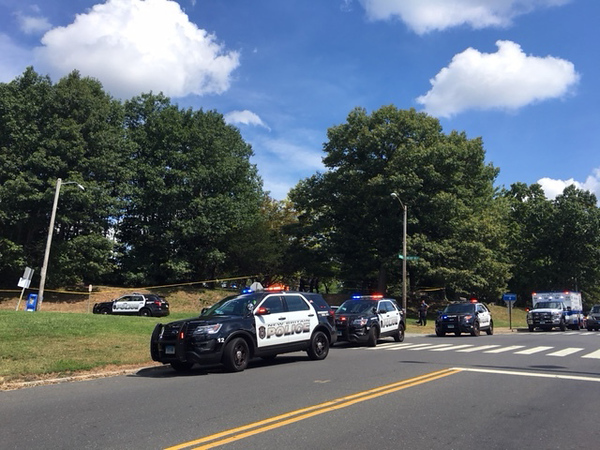 NEW BRITAIN – Police are looking for witnesses to a crash in Walnut Hill Park Tuesday that led to the death of a 48-year-old city man. The man was the driver of a vehicle that had gone off Walnut Hill Park Road near Grand Street in front of the Hospital of Central Connecticut and up a 10-foot embankment before going into a patch of woods. The 45-year-old male passenger in the vehicle suffered minor injuries and was treated at HOCC and released. He reported that before the crash, the driver was “experiencing apparent medical issues” just before the crash. The driver was later pronounced dead at the hospital. The city’s Traffic Division is still investigating. The driver’s name has not been released. Police are waiting on autopsy results to help determined what happened, Capt. Jeanette Portalatin said. Police are now asking anyone with information or who may have witnessed the crash to call Sgt. Steven King at 860-826-3071. Posted in New Britain Herald, New Britain on Wednesday, 5 September 2018 16:14. Updated: Wednesday, 5 September 2018 16:17.